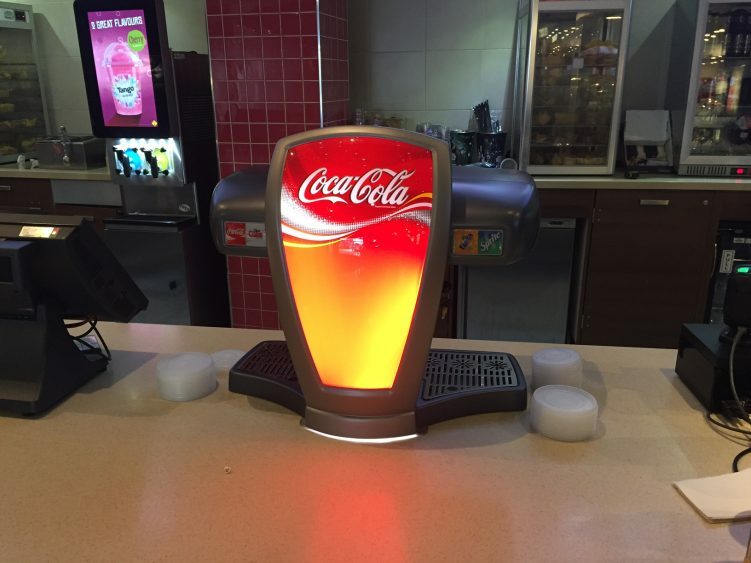 A Coca Cola soft drinks installation completed at a Cineworld in Basildon where 7 dispensing towers were installed. 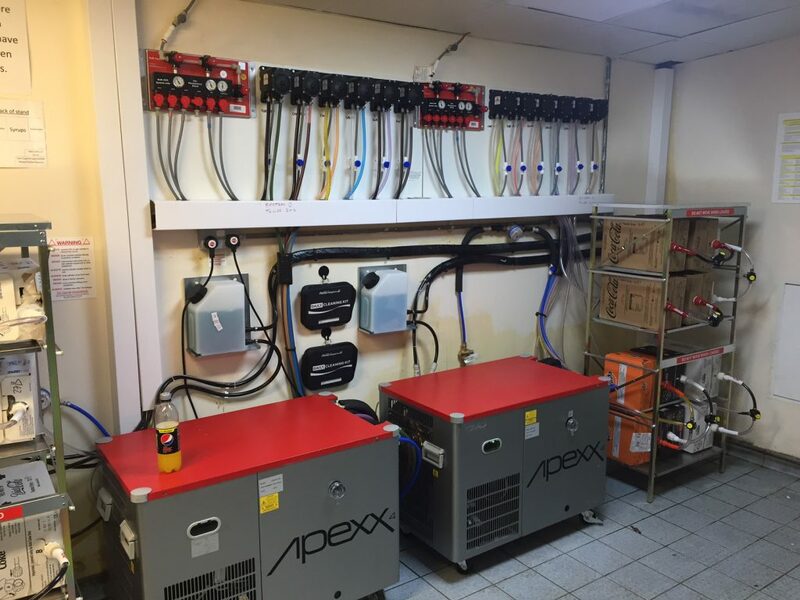 An installation in which we replaced Britvic products for Coca Cola products in 2 concession stands and one in the Ben & Jerry’s store. 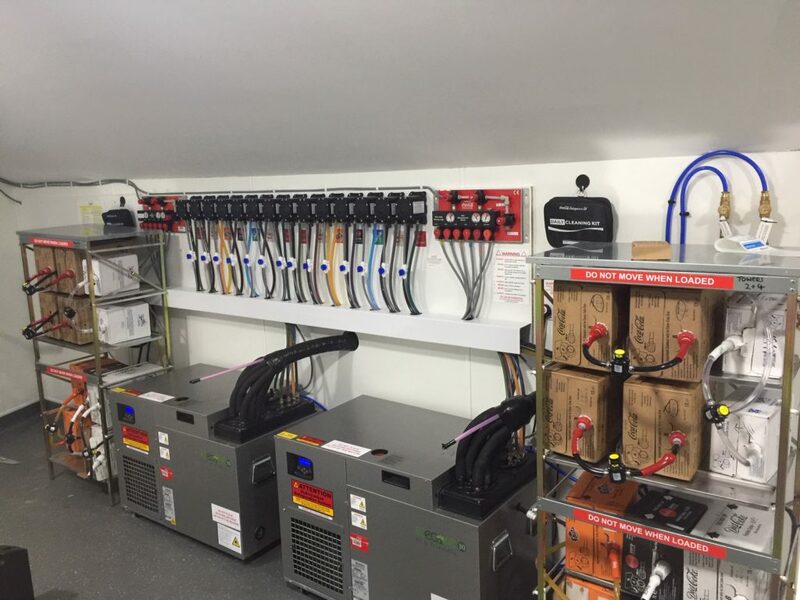 All together there were 7 dispensing towers covering the 3 kiosks and they were all being fed from 3 systems in the cellar (pictures below).